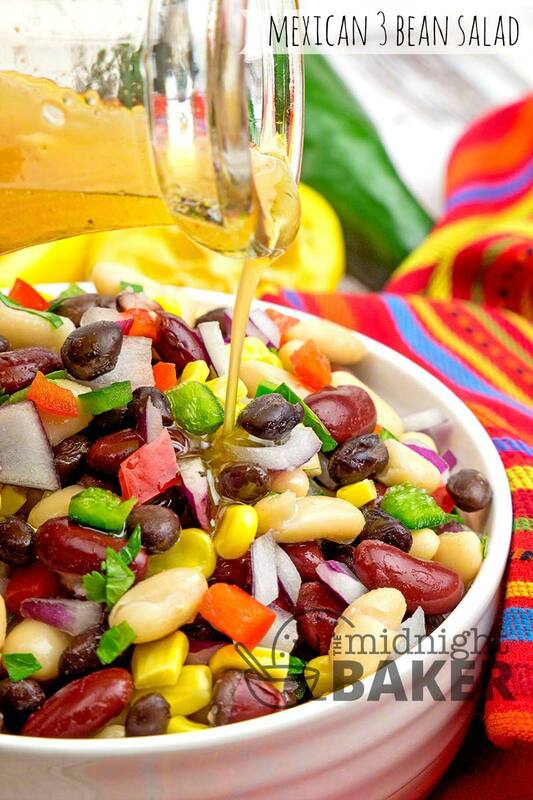 Simple Mexican style bean salad that’s a complete meatless meal! 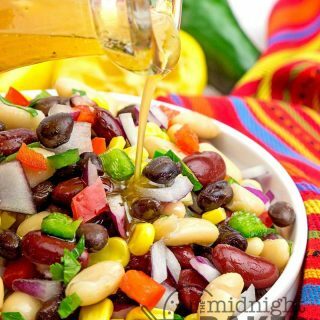 If you’re looking for a salad that will really wow your guests or family, look no further than this Mexican bean salad! 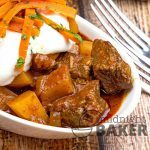 It’s also a great option for a main dish if you are having company that doesn’t eat meat. The colors are mouthwatering so this really can be the centerpiece of any meal. At first glance, you may think this is complicated to prepare, but it’s not! The hardest thing here is opening the cans of beans! Of course, all canned beans have to be well rinsed and drained. Therefore, I suggest you begin preparation about one hour before you plan to serve the salad. The colander can be set either in the sink or on the draining board so it drains well and doesn’t get in your way. Other than that, the only other prep work you have is a bit of chopping and defrosting. I might add at this point that you can vary the amounts of anything in the salad itself to suit your individual taste. For instance, I’m not a big lover of cilantro but recognize it’s needed for a special flavor. I tend to go light on it, but if you love it, add more! The same applies to the dressing. 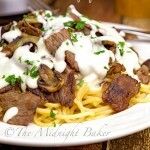 Again, I’m not a lover of cumin but the dressing needs that flavor. Add more of anything if you like it. Just don’t alter the oil/acid amounts. 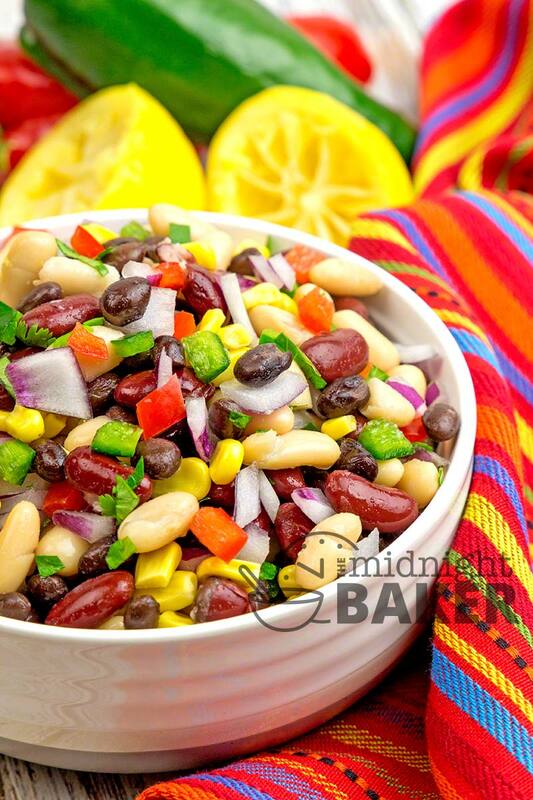 I love the color combination you get with the variety of beans used in this salad. To me, color is very important for food because the more vibrant it looks, the more appealing it is to eat. 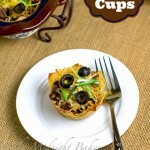 But that doesn’t mean you cannot substitute one bean variety for your favorite. If I were to substitute anything here, I’d switch out the cannellini beans for garbanzo beans (aka chick peas) because I really love them. Doing that would also give more depth to the shapes and textures–another thing that’s pleasing to the eye and palate! 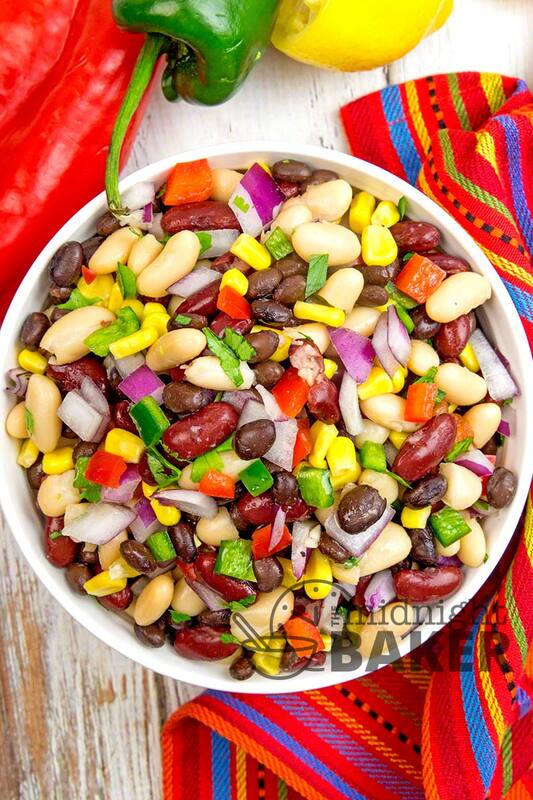 Place the drained beans, corn, onion, peppers, parsley and cilantro in a large bowl. Mix all dressing ingredients in a small bowl and whisk it well; pour over bean mixture and toss to coat.